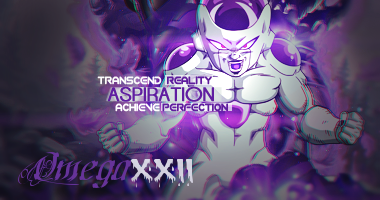 Credit to RED_REBEL44 for the amazing banner! 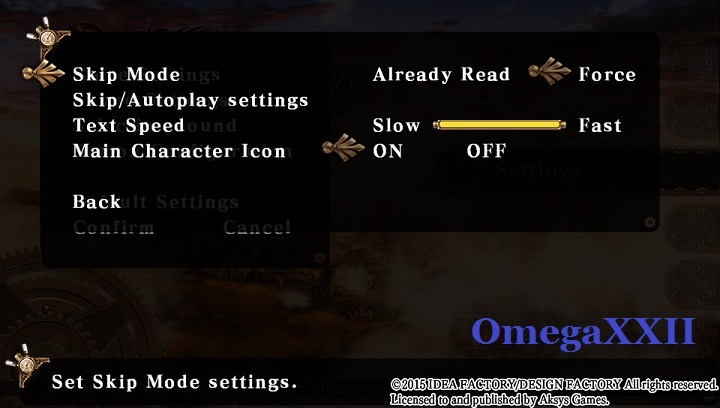 Extra Note: Chapter names won't appear while playing the game if you are auto-skipping through the game the entire time, I only placed them there just in case. 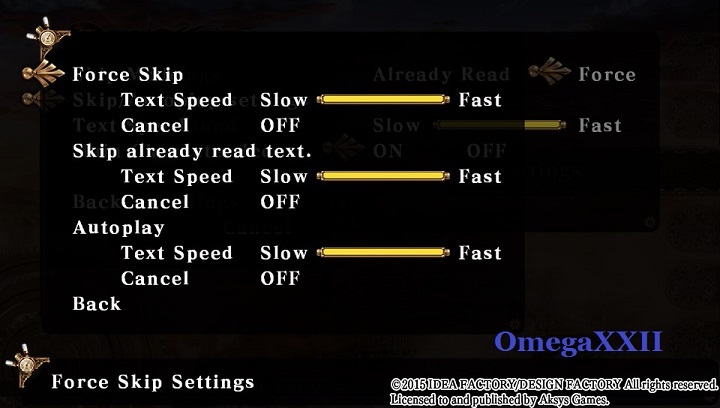 Select "Game Settings" and change the settings like in the 1st image below. Then select "Skip/Autoplay settings" and change the settings like in the second picture. Once finished exit out and select "Confirm" to save settings. 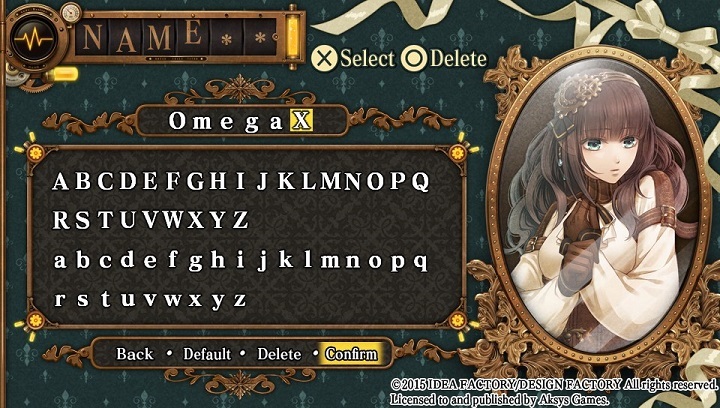 Welcome to Code Realize, this is a simple otome style Visual Novel localized and published by Aksys Games with fully translated menus and text, however for any purists out there you'll be glad to know that the Japanese voices have remained intact and as such all the voice acting is in Japanese only. Trophy wise; the game is pretty straight-forward, simply go through each characters route, once finished simply view the extras scenarios to unlock the remaining trophies and the platinum trophy will be yours. My personal suggestion is that if you want to actually enjoy the story and read everything for a better overall experience then I suggest you don't auto-skip and take your time with the game, the routes can basically be played in any order, however; Lupin's route will ultimately need to be last, otherwise if you are only interested in the trophies then simply follow this guide to acquire all trophies + the platinum. Name Entry: Enter a name, or simply go to the bottom and select the "confirm" option on the bottom right of the screen and confirm by selecting YES. 1. "I want to go with Victor." 1. Think it's a good idea. 1. Can't let him do this! 1. I'm having a lot of fun. 2. Prepare for a counterattack! 1. You're not important to me! Please Note: Loading Bad Endings are required in order to complete the Gallery for each character to earn their respective trophy and towards completing 100% of the CG gallery. 2. Isn't there another way? 2. I don't really understand. 1. Victor would never do something like that. 1. "I'm so glad you're safe." 1. "Don't be so kind to me." 2. I don't want to kill you. 1. "It made me happy." 1. "Yes, it was all for love." 2. "Is it all right for me to stay?" 1. ...That's what I was going to do. 1. We should head back. 2. 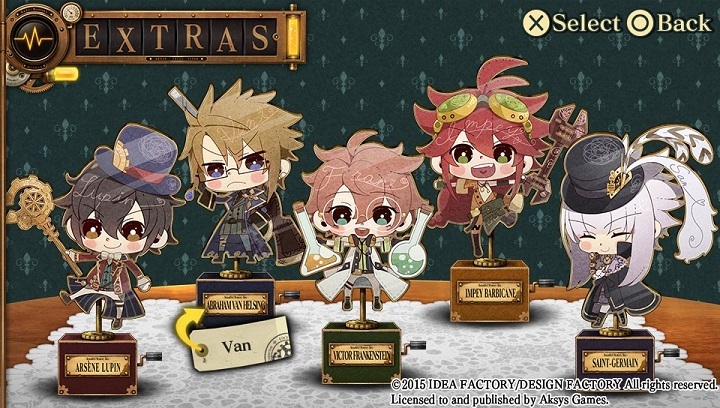 Have faith in Impey. 2. Go to Central London. 1. "What do you think of me?" 2. "Is that the only way?" 2. Try picking the lock. 1. ...want to go back to the old mansion. 1. Keep using the poison. 2. "I want to go with Victor." 1. Stay at the hotel. 1. "I'm going to help, too." 2. I can't let him know I'll become a monster. 1. "I'm going with Lupin." Once the trophy above pops, press and select "Title" to return to the Main Menu. Once in the main menu, go into Memory Trunk and select EXTRAS to see the screen above. Simply auto-skip through each characters scenario to receive a trophy for completing each one for each respective character, after completing the last one you will also receive A World of Skin for completing the CG Gallery. Now simply press to exit out and you will notice a notification message that you've unlocked everything as well as your last 2 trophies + platinum trophy, congratulations! 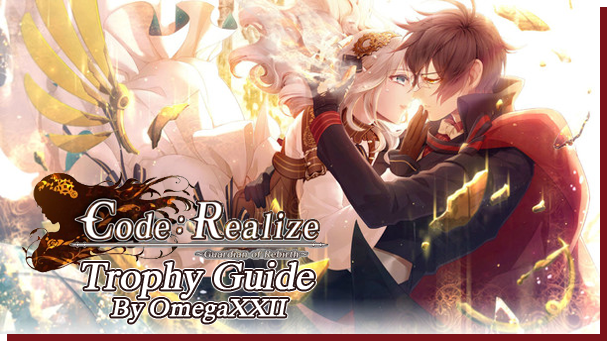 I am fully aware that most of the avid importers and members here wont really find this guide too useful since the game is essentially exactly like the japanese version, however; with it being localized and translated into English the game will no doubt get more exposure from various people and possibly people who aren't even into imports and so I created an English version guide in order to make following a guide as simple as possible. Guide is based of the original japanese guide I followed, really simple, platinum this time around took me round 3½ hours to obtain the platinum. Just added the awesome header made by RED_REBEL, looks fantastic! Thank you!! And after I platinum'd the game, I decided to actually take the time to read the routes to enjoy the story and so far the story is amazing, I am definitely enjoying Van's route, so much suspense and the personalities of the character's really shine. If anybody wants to take the time to read this please do so, it is interesting to say the least. Looks great! Is there anything special to do in order to get the plat more towards the 3 hour mark rather than the 6? Mine clocked in at 3.49... not bad! Idk why but I thought I remembered the JP one being much longer! Yeah, im glad you figured out how to get a quick platinum, congrats on the platinum! You basically have to skip through the game non-stop, skip all credits and movies and as soon as you get the trophy quickly reload any other saves that are needed. Thank you for the excellent guide. In post 3 the 4th option of "1. Keep hiding" was actually option 2. Perfect! Thank you! Keep making great guides!